Hosted by Matt Storm, Matt chats with guests from all different walks of life. He dives deep into influence, creative process, inspirations and more. Tune in every other Tuesday for a brand new episode and remember music is life and life is good. The Crash Chords Podcast is an eternal war for artistic scrutiny. Follow along with our intensive album analyses by diving into the album yourself first — using our Spotify play buttons, when available — and then join us in asking the hard questions. Expect guest panelists, broader topics concerning music as an art form, episode specials, and surprise performances. Every album a contender. Every song a debate. Each episode we embark down a different road. No two albums are alike, and so neither are their discussions. So go ahead. 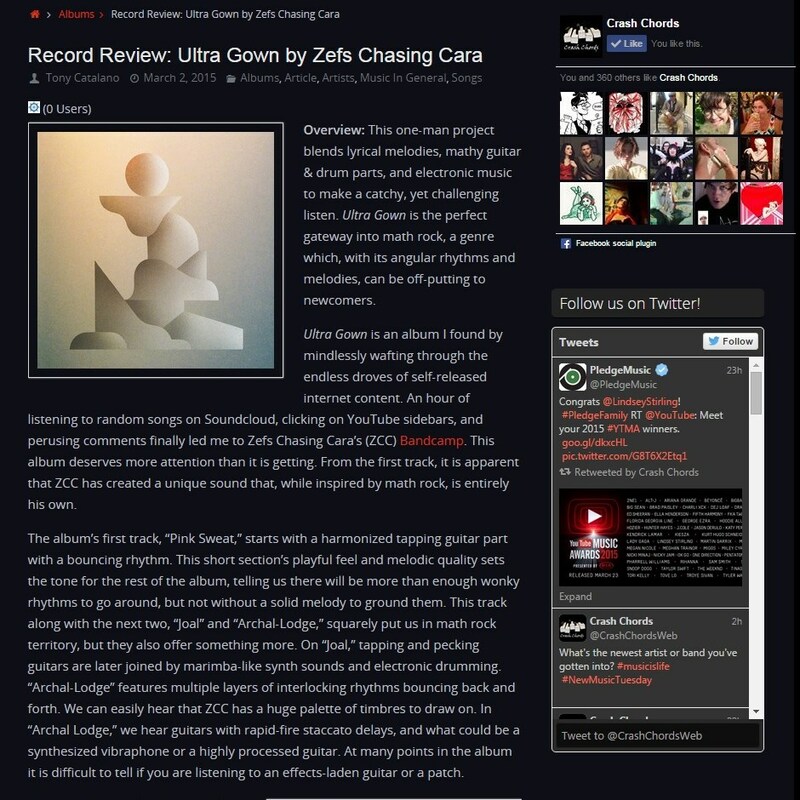 Review our reviews! Stormageddon is a host, DJ, podcaster and producer hailing from Brooklyn, NY. He deejays shows for Wormwood Burlesque, Metropolis Burlesque, Rabbit Hole Productions, D20 Burlesque and of course he is the official DJ of the Nerdlesque Festival and Eat Me! A Variety Show. 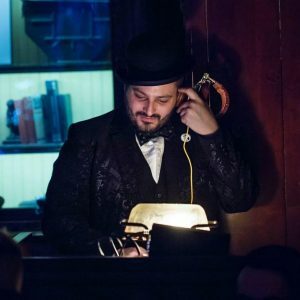 He also hosts, deejays and is a producing member of Magical Girl Burlesque. He has 4 different podcasts he hosts, CC: Autographs - a bi-weekly interview podcast and the "Fun" and Games Podcast - a bi-weekly video game discussion and analysis podcast with co-host Geoff Moonen. Screen Snark - a movie podcast, for movie lovers by movie lovers with co-host Rachel Schenk. Reignite - a deep dive into the sci-fi universe of Mass Effect with co-host MJ Bradley. All of his podcasts can be found on most podcast hosting providers. CRASH CHORDS is a website devoted to expanding how we think about music as an art form. Our goal is to foster an atmosphere of subjective debate in which the relevance of a single note can be argued beside an entire repertoire’s sphere of influence. In our site’s content, we try to delve into as diverse a selection of music as possible; we explore the intricacies of composition, the circumstances surrounding a musical work’s place in our time, and the broad, ineffable questions that concern how art touches us emotionally. Our dedicated one-on-one interview series, hosted by Matt Storm aka Stormageddon. Comprehensive album analyses, topics, and guests. Site updates, articles, and other media. Aside from music's humble role as the commuter’s soundtrack, or the partygoer’s mood-setter, it also shapes the way we think, act, and react to the world around us. We connect with the familiar, and we’re challenged by the unknown. So, as newer styles of music are brought down to us, it’s only natural to be a little open-minded and a little suspicious at the same time. We may also question whether these new styles will stand the test of time—or whether they’re destined for the dustpan. Often there are unseen factors that steer our most cherished works to and from the public eye, everything from a lucky break to the pervading cultural zeitgeist or groupthink. Well, here at Crash Chords, we take nothing for granted. While the threat of cultural homogeneity is always looming, our ideal environment is one where the tug-of-war for artistic scrutiny remains spirited and eternal. It’s recommendation time again! 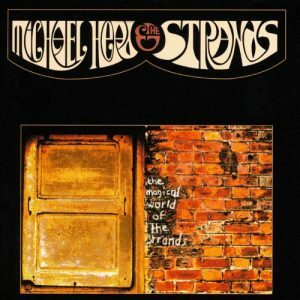 This week’s song is thanks to my recent guest on Autographs, Mr. Lee VaLone! 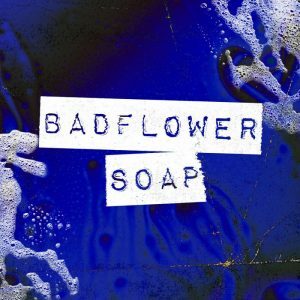 This week’s song is Soap by Badflower. Ever since I interviewed him and we talked about his Soap act I’ve been listening to this song on repeat. 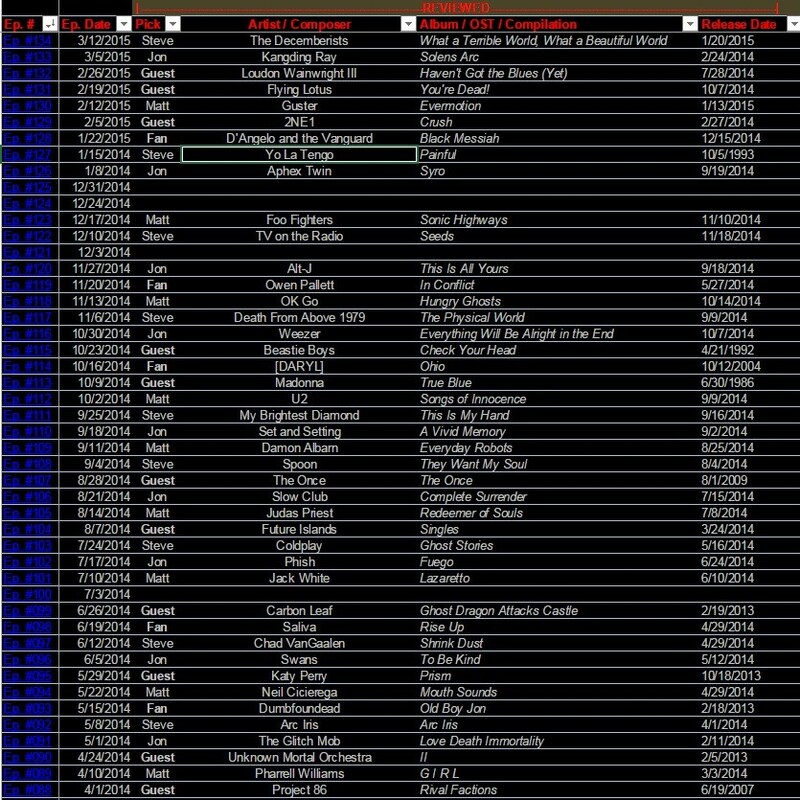 It’s got everything I love about alt-rock/indie rock. With creeping guitar, emphatic singing and lyrics, back and forth energy shifts, and high emotion it hits all the right buttons for those who want to rage a little. This is one that I’ll be spinning for a while. If you like your rock heavy and a little erratic then this is definitely for you. 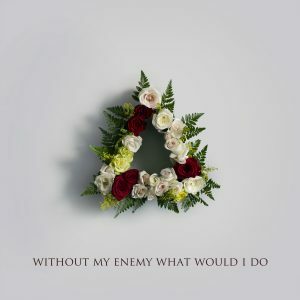 This week’s recommendation is the 2015 album from Made In Heights called “Without My Enemy What Would I Do” This album is a brilliant mix of pop, electronica, and synthwave. It flows in a way that just takes you on a journey. Kelsey Bulkin’s vocals are beautiful and dreamy throughout most of the record and they just wash over you. My favorite song off the record and the one I’m using for the playlist is the single “Murakami.” At 2 minutes and 28 seconds it has one of my favorite instrumental breakdowns ever. Go listen to this album immediately. You’ll thank me for it. Today, Matt welcomes Matt Karpe, an author, journalist, and podcaster hailing from March, Cambridgeshire in the UK. 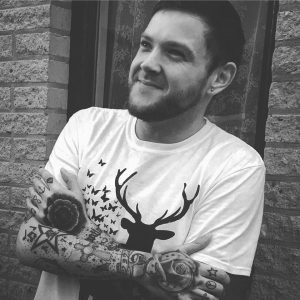 In light of his newest book, called ‘Nu Metal Resurgence’, a detailed history of the return of the Nu Metal movement, Matt chats about his history as a journalist and what inspired him to write his new book. With Matt he chats about growing up during the heyday of Nu Metal and how the bands of today, who have survived from the time, continue to evolve. They also chat about about his website and podcast, both called “Head for the Barricade”, its section called “The Lowdown”, and they explore the ever-evolving music landscape and how the defined lines between genres are more blurry than ever. And so, from some band bonding to other musical discourse, here’s presenting Matt Storm and Matt Karpe. Today, Matt welcomes Lex The Lexicon Artist, a Taipei-raised, Oakland-based nerd core rapper. With a debut full-length album out called Raging Ego, and two music videos (for the singles “Glasses” and “Artist Anthem”), Lex discusses her early exposure to rap in Taiwan and who her early influences were. With Matt, they discuss her visit to NYC, what it was like to perform at SXSW 2018, and chat about the connectivity of social media and how it’s helped her reach more people more quickly and directly. And so, from her love of anime to the progress she’s already made on her second album, here’s presenting Matt Storm and Lex The Lexicon Artist. Recommendation time! This time I’m recommending the newest single from Panic! At The Disco called Say Amen (Saturday Night) from the upcoming album “Pray For The Wicked.” I’m a relatively new fan of them and was really hooked by their previous record “Death Of A Bachelor.” The new song is infectious and upbeat. I’m a huge fan of front man Brendon Urie’s vocals. Solid pop fare here. It will keep your head bopping with every listen. The video for this song is a hell of a lot of fun too. t’s a Bondesque adventure that has lots of action, thrills and silliness. 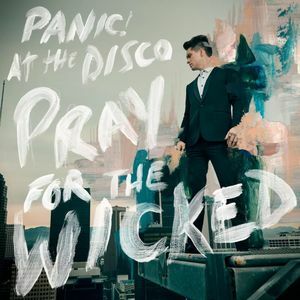 “Pray For The Wicked” hits shelves on June 22, 2018. This week I’m recommending the new single from one of my favorite contemporary artists. It’s the song “Humility” by the coolest animated band around, Gorillaz. I’ve been a long time fan of them since I accidentally stumbled across the video for “Clint Eastwood” watching MTV in the late hours back in 2001. This new track is so cheery and light. 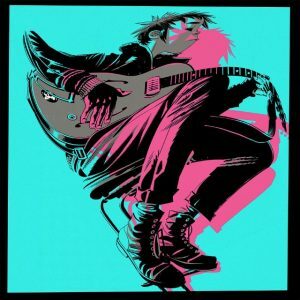 Catchy grooves and smooth vocals by Damon Albarn as 2D. The music video for “Humility” features a delightful cameo by Jack Black who hams it up in the best way. Definitely my new summer jam and I’m excited to hear what else the band has in store for their new record “The Now Now” when it comes out later this year on June 29th. Today, Matt welcomes magician, DJ, and host Nelson Lugo, a.k.a. DJ LugoTron, a.k.a. DJ Jalopy. 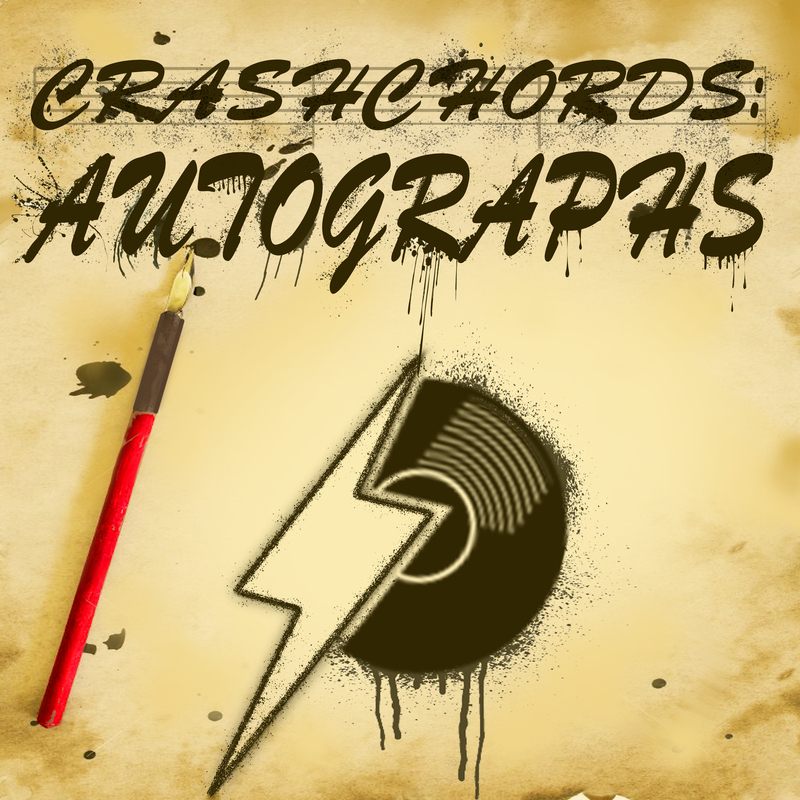 A three-time Crash Chords Podcast podcast veteran, Lugo stops in to Autographs to chat with Matt about his continued work, and some updates to his latest one-man show, ‘Cheating Death: Magic, Memoirs & Mortality’. They talk about his relatively recent dive into DJing, how he got started, his partnership with Schaffer the Darklord, and what it’s like to be a performance DJ in a live show environment. 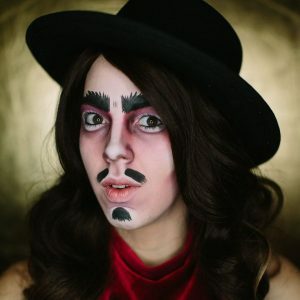 They also discuss Lugo’s monthly gig at the Red Room (above KGB Bar in NYC) called Green Fairy, a live Jazz Age party, show, and Absinthe tasting event. And so from Lugo’s monthly open mic & variety show to his love of 90s hip-hop, here’s presenting Matt Storm and Nelson Lugo. 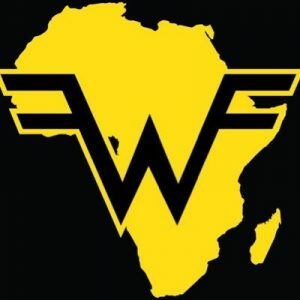 Today’s recommendation is the latest release from Weezer, which is their cover of the 1982 classic “Africa” by Toto. Covers are super important to me. They show many things about the artist doing said cover. It displays influences, likes, dislike, and more. I’m always intrigued by the earliest decision a band makes when covering, should it be an homage or make it more original to ones own style. I personally like both kinds of covers but many music listeners prefer one over the other which is OK too. For me this cover specifically important because I love Weezer a lot and “Africa” is one of my got to jams from the 80’s. It’s a fusion of two things I love very much.